AdBlue Emulator V5 NOx is compatible with several MAN trucks. Below is the installation manual of V5 AdBlue emulator for MAN vehicles. Before installing AdBlue Emulator V5 NOx on MAN truck, please make sure that you have emulator programmed to MAN program. You can order pre-programmed emulator, or you can change the program by yourself anytime you want. The first step is to switch off the ignition! If the SCR system works, it is necessary to wait for the termination of all processes. SCR system must shut down completely. 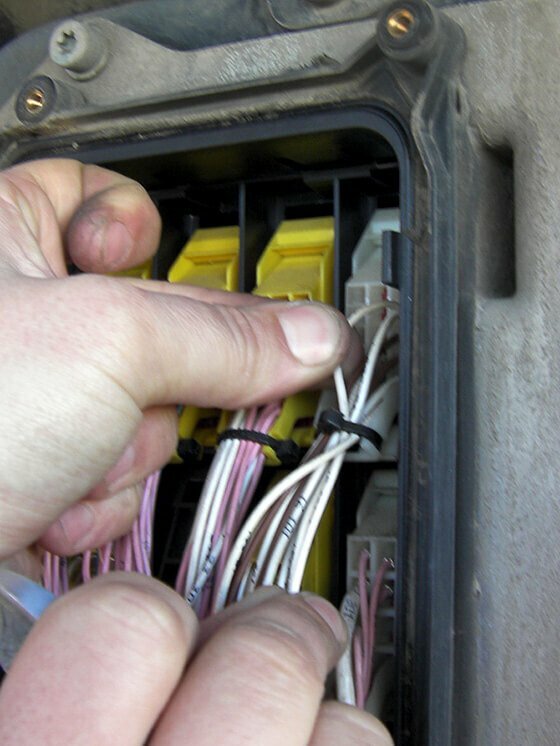 Remove the fuses 894, 737, 738 (7,5 A) from the fuse box. 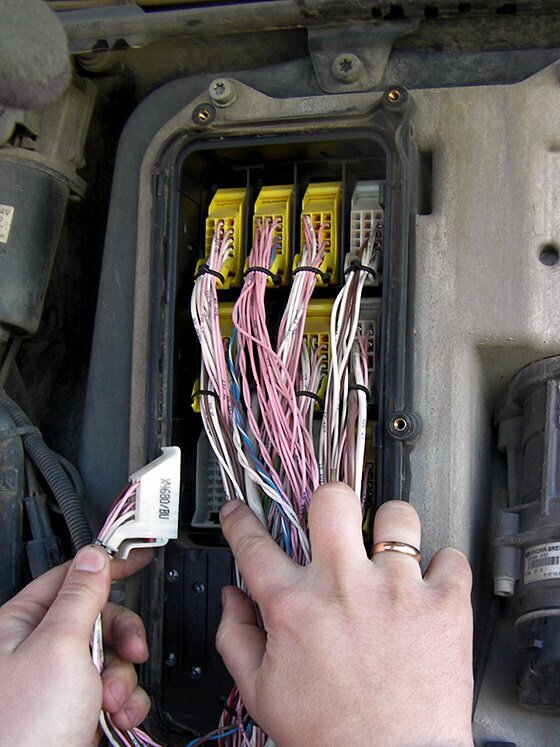 You need to install the AdBlue emulator module in the junction box under the hood on the driver’s side of the truck. 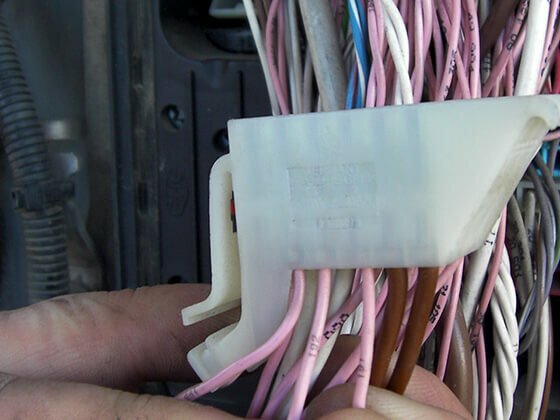 Remove the cover from the junction box on the left (driver’s side of the vehicle) and find the connector (see the photo). 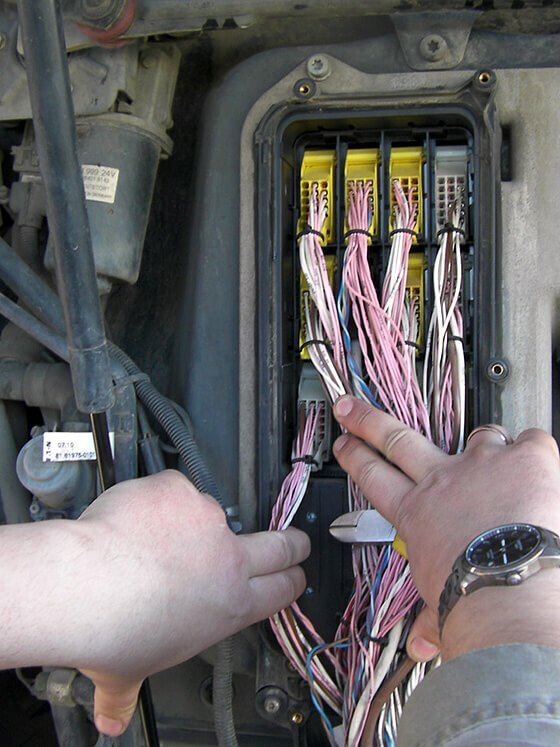 There are two thick brown wires on the connector – this is GROUND wires. Connect GROUND firstly. 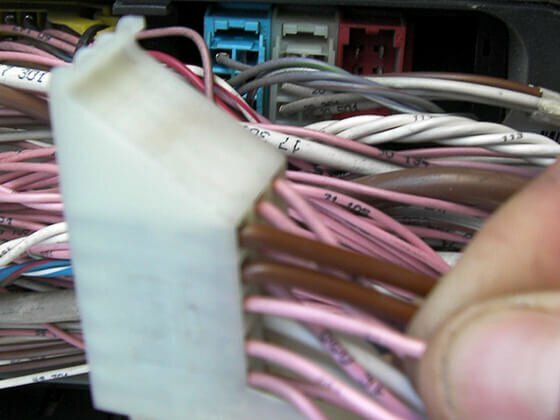 Do not connect other emulator wires if the ground wire is not connected. It is necessary for safety reasons. There are two wires with numbers 191 and 192. Cable with number 191 is a CAN HIGH. Another one wire with number 192 is a CAN LOW. 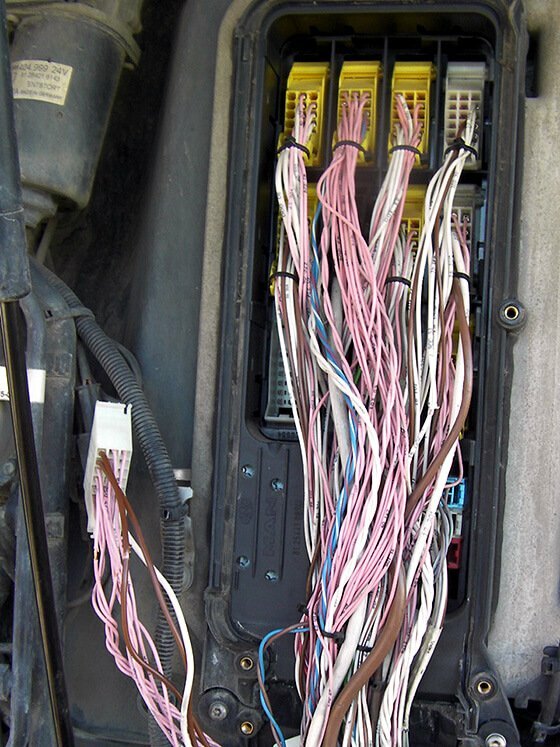 These are located vertically under the two thick brown wires. 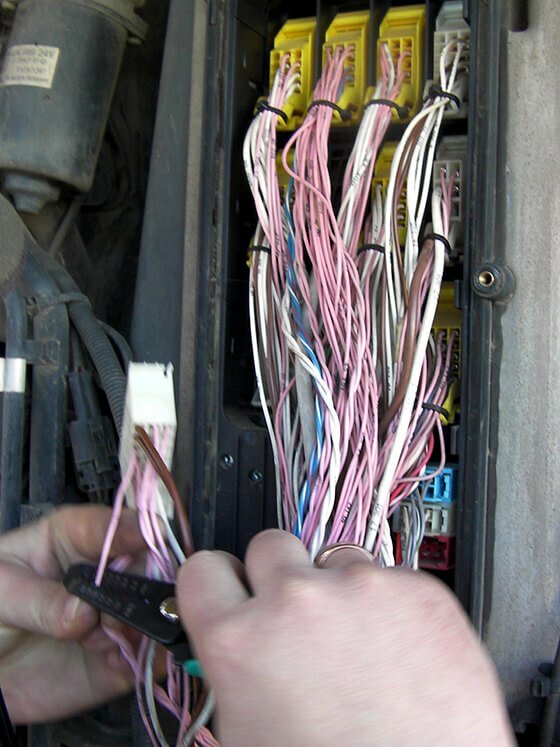 Take the wire with number 15006 from any connector, and this is POWER (+24). 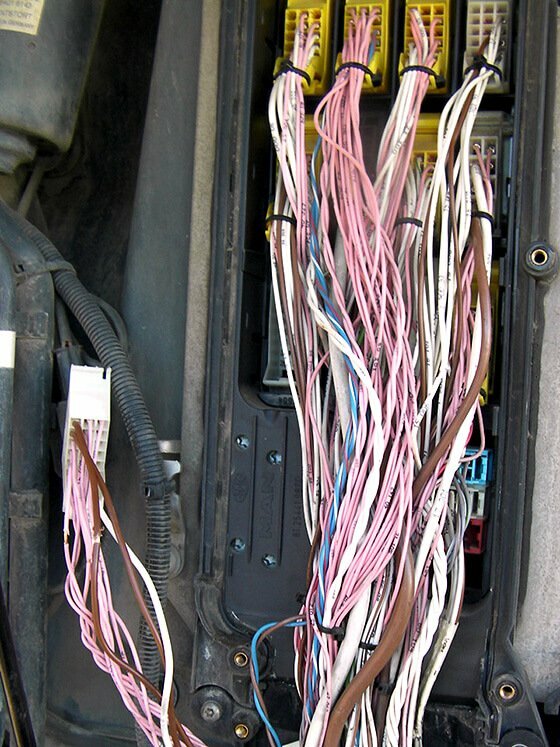 When all wires are connected, please turn on the ignition and start the engine. Make sure the indicator of AdBlue level shows half tank. If there are any faults at the time of switching off the engine, it is possible that after the AdBlue Emulator installation, the emission toxicity pictogram didn’t go out on the instrumental panel. In this case, it is necessary to delete DTC fault codes from OBD and reset MIL parameter in the EDC tab. In these circumstances, MAN CATS is required. 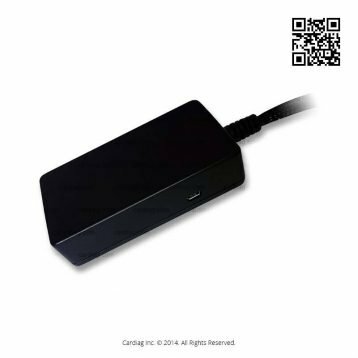 AdBlue Emulator V5 NOx installation manual for MAN trucks was last modified: May 26th, 2017 by Cardiag Inc.